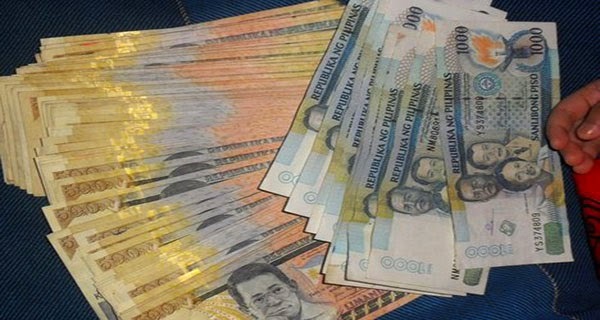 A female cook identified as Nancy Palacios earned praises in Iloilo City and online after she returned a large sum of money to its owner. The 41-year-old lady was strolling at Marymart Mall last Saturday when she noticed a plastic bag placed on top of a box, ABS-CBN News reported. When she opened it, she was shocked to see bundles of cash. Palacios sought help from the mall's staff, who called the police. After a series of inquiries, the Iloilo City Police Precinct No. 1 found out that the money is owned by businessman Isidoro Fabela, a bakeshop proprietor. The honest cook decided to turn over the cash worth P99,500 to Senior Inspector Jojo Tabaloc who happened to be Fabela's batchmate, but she was asked to personally hand the money over to the owner. In an interview with a local radio station, Palacios said it never crossed her mind to keep the money she had found because she knew it was not hers. When asked how she felt after returning the money, the honest cook said doing good for others made her feel better.